Sea Kayaking Tours of Blue Flag Beaches, Superb Water Quality. Our sea kayak tours will “bring you on an unforgettable kayaking experience “as described by Tanya Sweeney of the Irish Independent in 2014. Our sea kayak tours will “bring you on an unforgettable kayaking experience “as described by Tanya Sweeney of the Irish Independent in 2014. 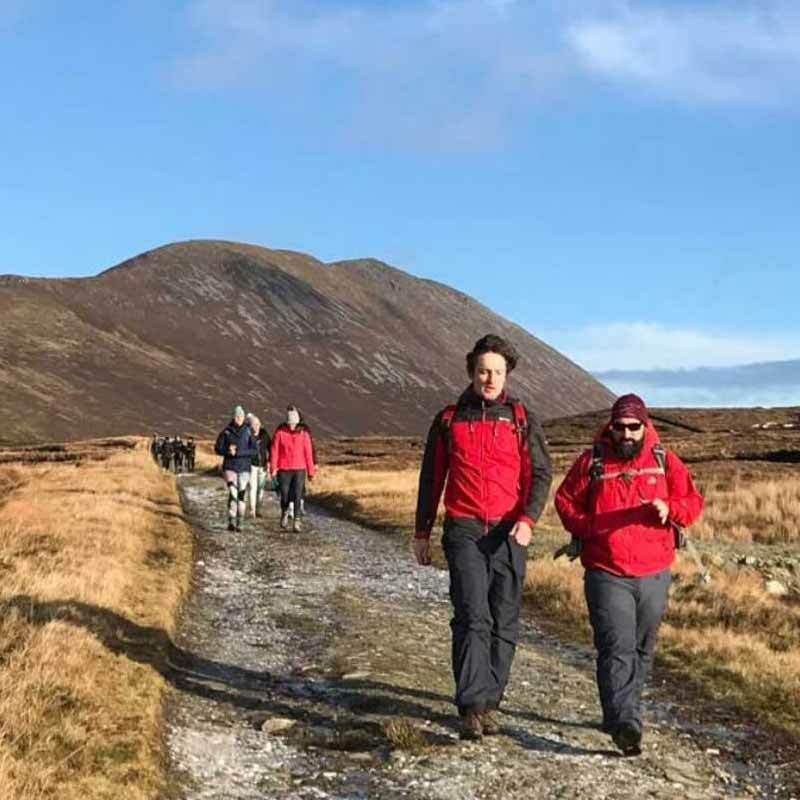 Achill Island offers pristine locations for Sea kayak tours, with a selection of Blue Flag beaches, superb water quality and a stunning scenery from land and sea, why choose anywhere else for your next kayak adventure. 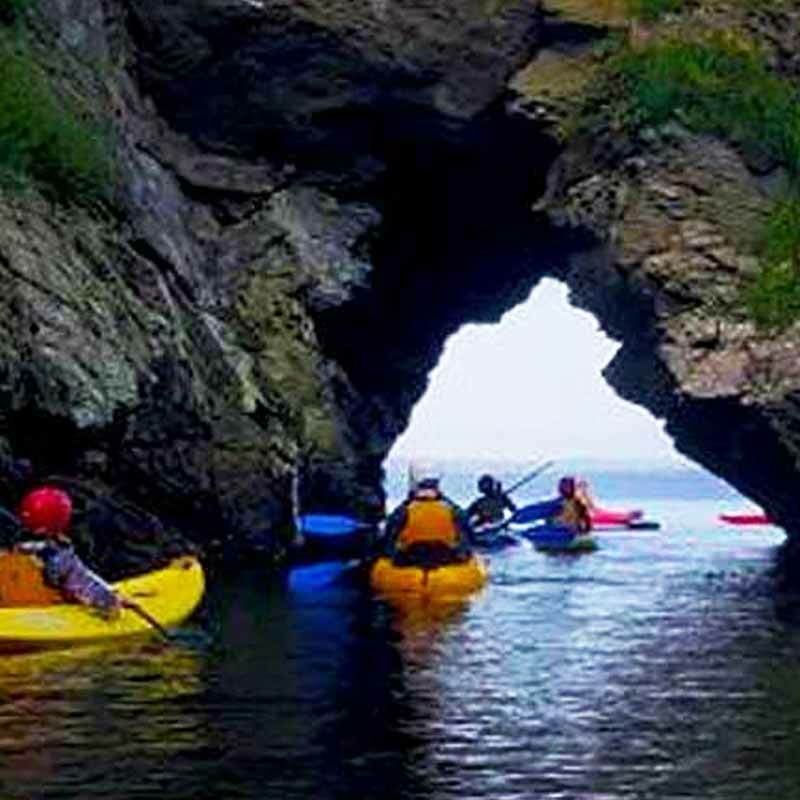 With an extensive coastline of sea cliffs, hidden beaches, caves and wildlife Achill Island boasts 2 Blue way kayaking routes of unparalleled beauty. 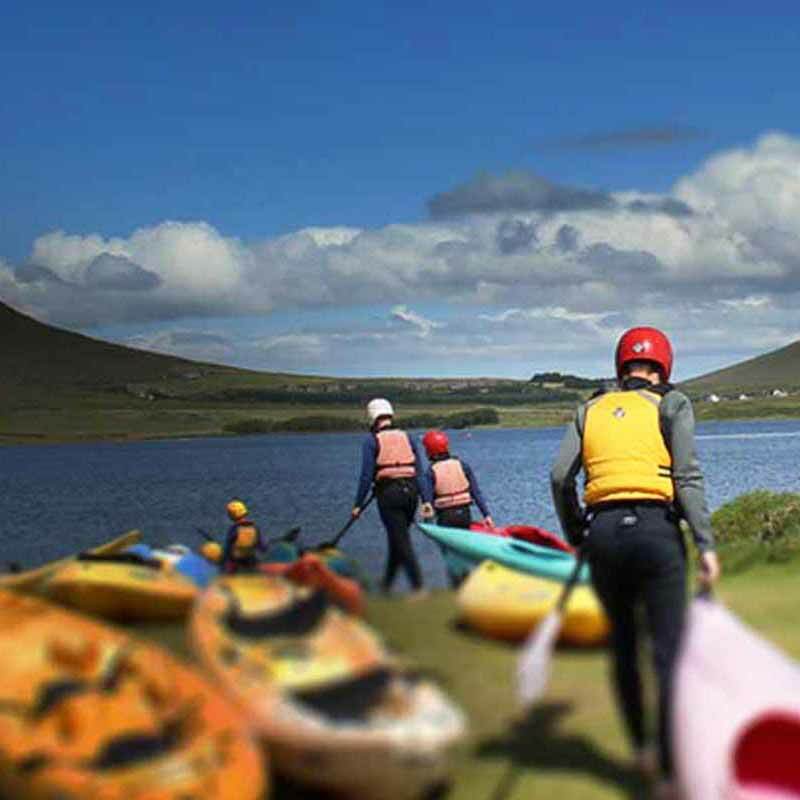 We kayak on the assigned Blue way sea kayak routes on Achill island, One route situated on the Western side of the island at the famous Keem Bay, kayak at the foot of Europe’s highest sea cliffs, local regular visitors include basking sharks, dolphins and a selection of sea birds. Starting at Keem beach we kayak along the western coastline, then across the bay returning to the beach via a circular route. 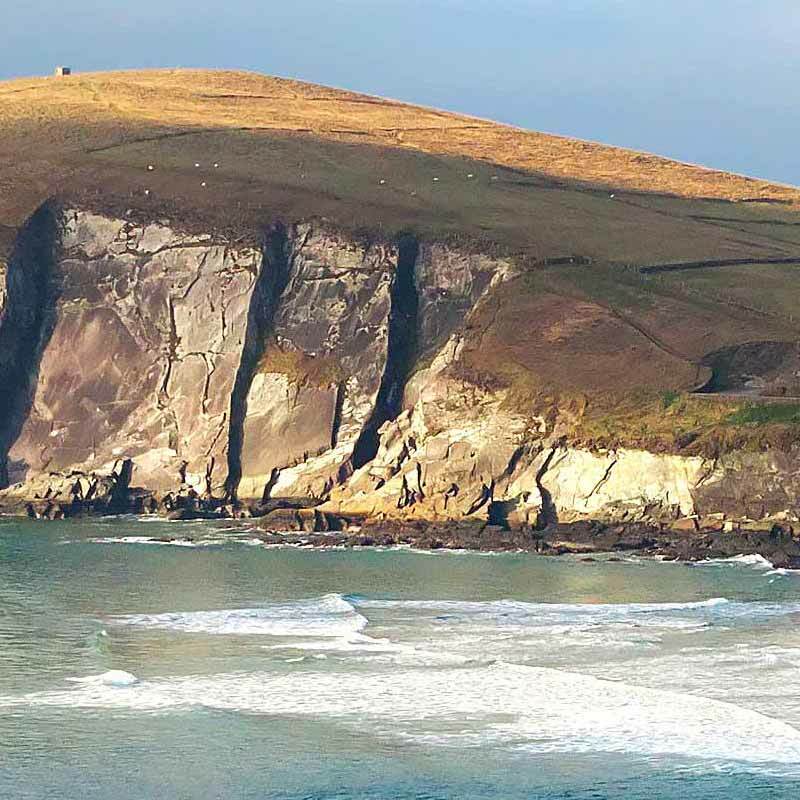 Keem beach is regarded as one of Ireland’s most spectacular beaches. 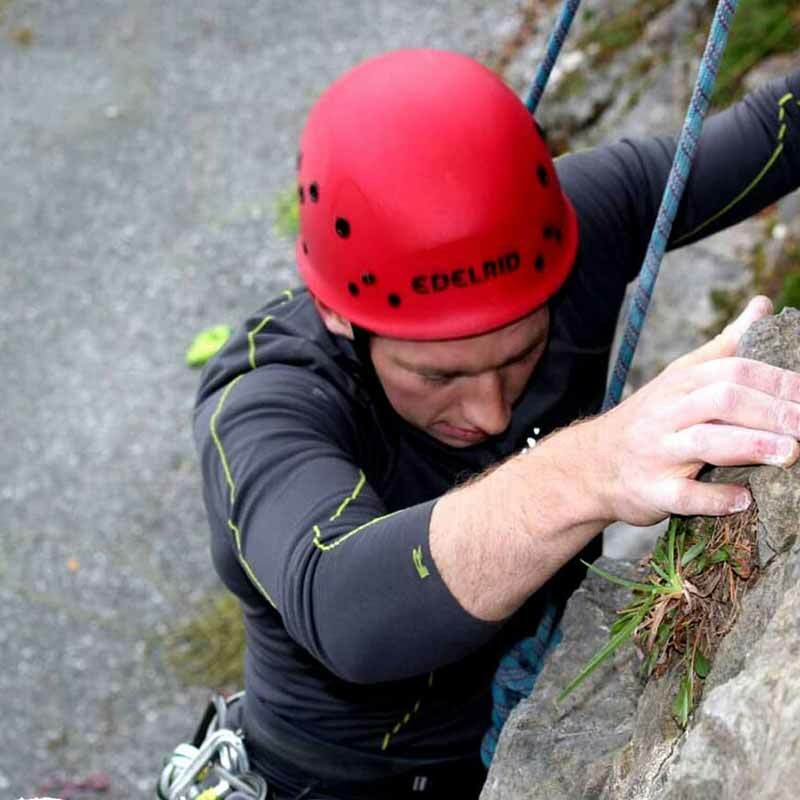 The alternative Blue Way route is situated on the Northern side of the island, departing Silver strand at the foot of Slieve Mor in Dugort, we kayak along the North Eastern coastline to Golden strand, features on this tour include striking sea caves, sea arches and hidden beaches, local wildlife on this route includes nesting sea birds, seals and marine life. 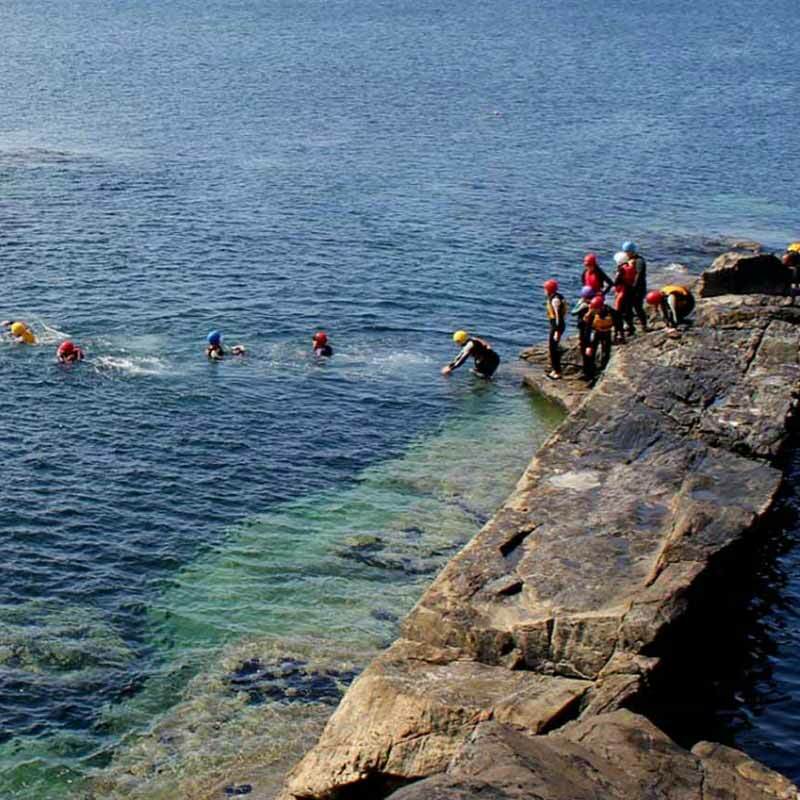 Sea kayaing is available throughout the summer months to groups, individuals and youth groups. Basic kayaking skills are prerequisite for all sea kayaking tours, tours are planned around local weather conditions and tides. Pre-booking is essential on all sea kayak tours. All specialist equipment is provided. Probably our favourite activity that we offer, each sea kayak tour is a special experience, no two tours are the same, our experienced team aims to give each participant the best possible tour experience, our guides will show you all the secret locations along the various routs, providing ample opportunity for stunning photographs and memorable scenes. 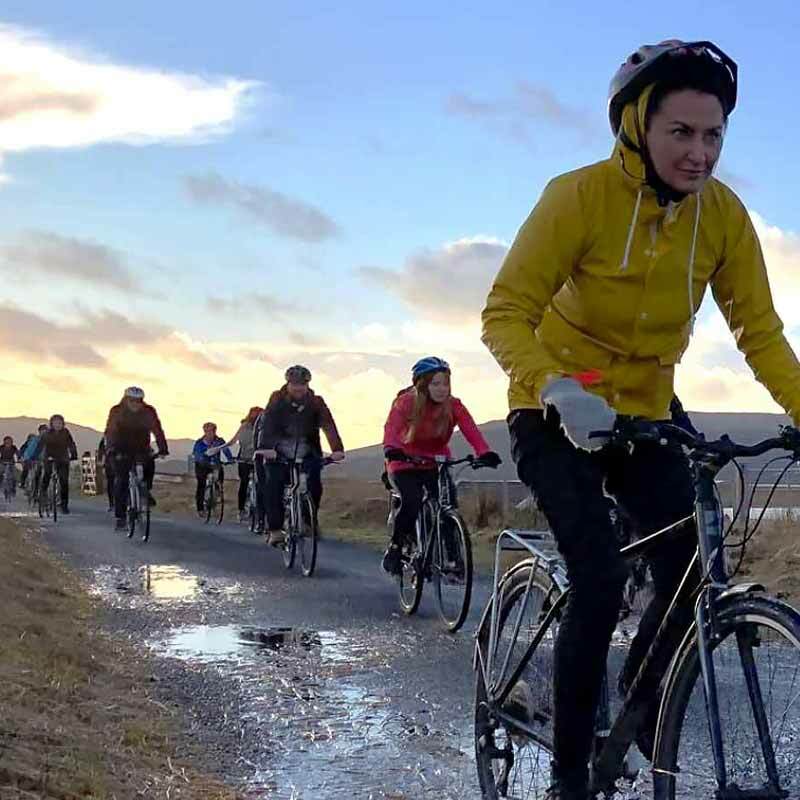 Each tour is meticulously planned around weather conditions, tides and participant ability. "A great place with breathtaking scenery and the staff/owners are so friendly. 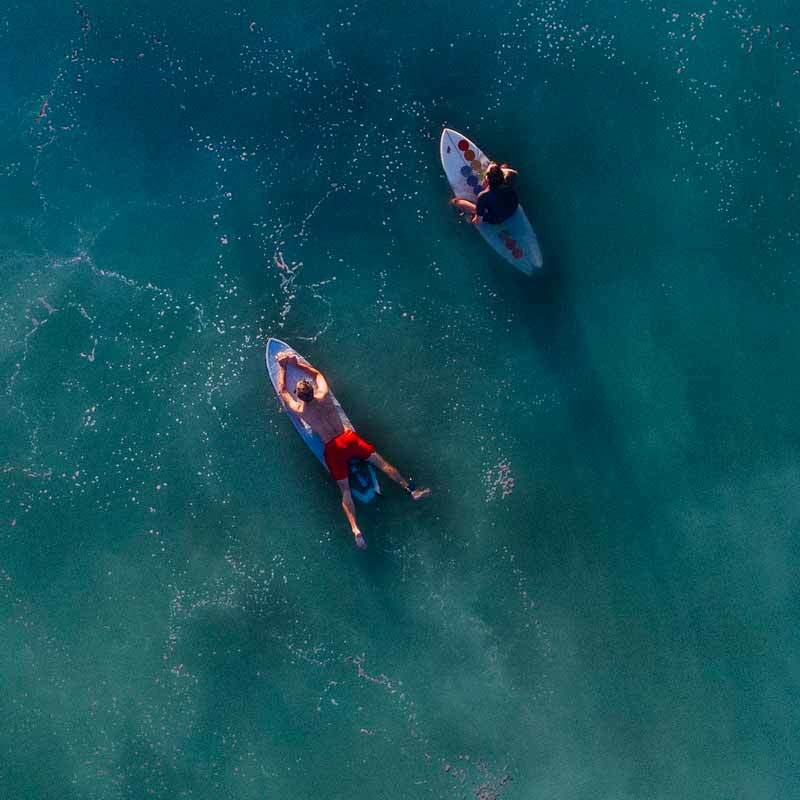 The surfing classes are so fun and everything is so organised(bus service/equipment) which makes it a top activity to experience. 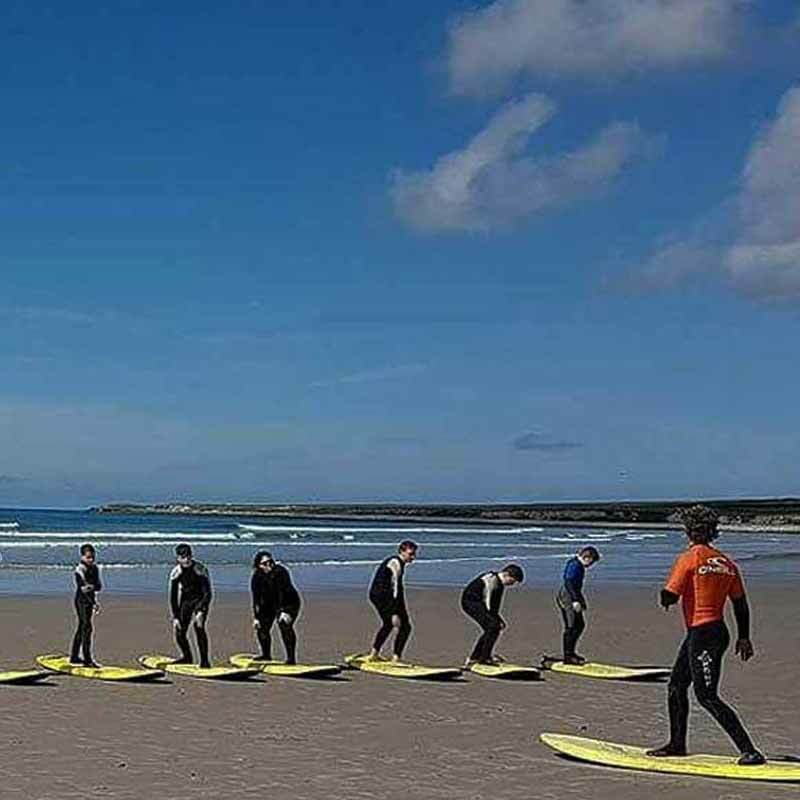 The accommodation that is provided by Achill surf is great too 🙂 I can't recommend Achill surf enough 🙂 "